Thrilling event experiences for Corporate events and Group Activities. Interactive evening entertainment hosted by professional THRILL MC’s and comperes that get people active, involved, smiling and laughing together. 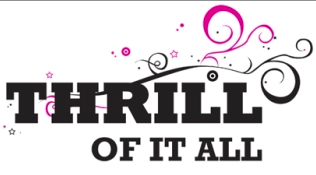 At Thrill we love to entertain businesses, staff and company employees inter-actively. With a selection of interactive entertainment experiences to select from. Experience counts. Over 6,000 successful fun corporate evening entertainment events since 1995. Thrill covers all major cities along the East Coast from Melbourne Hotels to Sydney Conference Centers, Gold Coast Resorts around Surfers Paradise and Brisbane Convention Centers. For your next AGM or conference Gala Dinner event. Have Thrill host your Night Games, Lip Sync Battles, Voice, X Factor and Trivia Games for evening events. We create spectacular functions for all types of celebrations. From awards evenings with dinner and drinks packages. Bringing on the carnival atmosphere with a range of entertainers, magicians, celebrity guests, themes and special effects. To anchor the evening entertainment. Thrill supplies professional MC hosts to support gala dinners, awards nights, presentations, music, dancing, musician, bands and all the fun celebrations! Thrill appreciates ‘getting your event right on the night’. From themed rooms to supplying models, actors, comedians and entertainers that can lift the crowd. To sourcing the services of professional photographers and videographers. Corporate Murder Mystery with a touch of CSI are popular entertainment ideas for corporate events. Guests solve crimes whilst networking and team building throughout the evening. We supply actors and MC’s to host the murderously fun activities that build up the atmosphere and engagement of your audiences. If in Sydney, Brisbane (BrisVegas), Cairns or south of Melbourne on The Great Ocean Road. We bring our team mobile to you at your selected venue. Combine cycling, paddling, bushwalking with a Murder Mystery or Amazing Race. Go sailing on Sydney Harbour during the day. In the evening enjoy a themed Voice, Lip Sync Battles, Survivor or Pirate Of The Caribbean entertainment theme with 3 course dinner. Theming and decorations are not just for New Year’s Eve, EOFY Company Celebrations and Christmas parties. We can cover any special occasion. Including ‘Wicked’ themed interactive dinner parties or entertaining at wedding receptions where Thrill hosts the fun. Unique evening events include ‘Zoo Safari’ with exclusive native and compelling wildlife interactions. Recently ‘Great Gatsby or ‘Winter Wonderland’ parties. Most popular trending are our minute to win it, trading and casino evenings. Challenging corporate teams to ‘Become a Millionaire by Midnight’. Thrill provides an excellent selection of hosted evening entertainment activities. Murder Mystery matched with craft beers, divine wine or ClueDo dinner parties. Stocks and Shares Trading Places Games for financial companies blowing some steam off with friendly competition that gets serious bids to become a Millionaire by Midnight. Arcade Games where we bring in the gaming consoles and machines for your party entertainment. Dinner Team Tables Playing Giant Pictionary or Giant Group Scattegory Fun. Trivia Nights * TRIVIA n ACTION – a combined fun force. 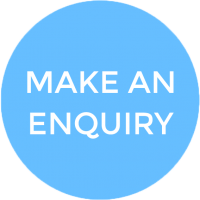 A superb selection of interactive, flavour-some trivia team questions, activities, encompassing the world of: Sport, Entertainment, Geography, History, Music, Art & Culture, TV/Movies and Current Affairs. * SPICK N SPECKS – Teams go head to head with song and delve into their collective memories to achieve victory. No musical genre is overlooked in this epic fun-filled game. Countdown and Pictionary* GIANT PICTIONARY – Each team selects a player to come forward and view a word from the THRILL host. It can be an object, scenario, sport or location. Standing next to a flip chart or art easel, this person draws the word while the team calls out what they think the image is. The first team correct wins the points! Fun Bonus rounds and novelty activities bouy the evening entertainment. Minute to Win It Interactive Games for corporate parties. * MINUTE 2 WIN IT – It’s Awesome, Its Spectacular. Lots of fun activities and skills that you can do in 1 Minute. Hilariously engaging with each team sending in representatives each round to accomplish: Bite the Bikie, Facially Aware, Pedometer Bounce, Measure My Ping Pong, Defying Gravity, Hoop De Loop, Caddy Stack, Pencil Bounce, Don’t Blow The Joker – and many more fun skills that people love! Master Chef Cooking Challenge Competitions to win, then relax and eat the results. Casino Nights for fun evening corporate group activities. Thrill brings you responsible gambling activities from Monte Carlo and Las Vegas. The hottest tables in town. 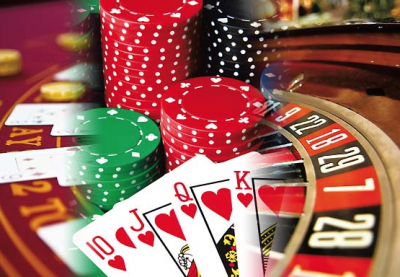 Direct to your event with props, croupiers and MC hosts that thrill your audience. We get you out of dire straights and operate to full houses with our mobile casino table set ups and dress ups for themed corporate parties and evening events in Sydney, Gold Coast and Melbourne. Live Viva Las Vegas Casinos on the edge and be a downtown hipster on your own Casino Party Night. 007 and James Bond or Great Gatsby Glitz n Glamour Hollywood Style! Arabian Nights themed events in all locations including Stockton Beach North of Newcastle arriving on camels, quad bikes or 4WD.Thrill are professionals in delivering corporate evening entertainment, high energy and memorable events that make guests happy. Stage Hypnotists, Comedians, Caricaturists, Drunken Waiters. Magicians to Musicians. Thrill caters for all events across Sydney, Parramatta, Hunter Valley and Blue Mountains. Get ready to more than entertain your guests have them Thrilled. Please Call and speak with Thrill staff in Sydney, Gold Coast, Brisbane and Melbourne to bring the fun wow factor into your next business celebration event.